To make retirement easy going without any worries about finances you need to start early. Like they say “The earlier the best”. But in case you are little closer to your retirement and worry about how things would take course “It’s never too late”, you can still start and compensate. Retirement brings in a new phase of life with it. Though it sounds quite easy, more like a prolonged vacation but what comes with it is a huge financial responsibility. 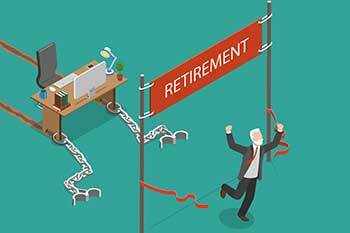 If this financial responsibility is not taken seriously beforehand, the easygoing retirement might turn into a living nightmare. Estimate your retirement budget: Try to get an estimate of your retirement budget. To begin with, get an estimate of your current expenditure including all the big and small occasional expenses which come time and now. Also, don’t forget to keep a scope of inflation in your retirement budget calculation. This budget will help you decide how much funds you will actually need to post your retirement to manage yours and your family’s life smoothly. Estimate your health care costs: Health care is an important part of the retirement plan. With the increasing age,the number of health problems also increases. As the expenses involved in health care also increases with time due to inflation, keeping an estimation of health care costs and planning retirement accordingly makes you financially prepared enough to tackle any such medical emergencies in future. Create a retirement plan: Though this might sound little common but is very important. You must strategize your retirement carefully. This must not only just include the expected expenses and budget but must also include the time when you are planning or expecting to get retired. This would help you to plan as per the time horizon keeping surplus funds aside. Determine your expected retirement income: Once you calculate the estimates of health care and retirement budget, it is very important that you take a note of your expected income post retirement through various retirement plans, pension schemes etc. The gap between your expected retirement income and your budget will give you an idea about how much funds are still required in the given time. This will help you make alternate arrangements and strengthening your current strategy. Payoff your debts: It is very important that you clear all your debts before getting retired. Because with limited sources of income and ongoing expenses it will be very difficult to manage debt dues. Moreover, various lenders tend to make the debts expensive upon retirement. Thus, it is advisable to pay off debts beforehand to save on the hefty interest amount paid in lieu of these debts. Take a note of your savings: It is better that you take a serious note of your savings and try to accelerate it with passing time. Keep your investments right: Keeping the long-term investments right is very important in wealth creation. Make sure you keep your investments sorted in thebroader portfolio to be financially secured in future. Plan out for your property: Start planning for your property, be it your dream house or properties you would buy as aninvestment. It is important that you plan them and buy them before retirement for an easy and tension-free retirement. Prepare your emotional mindset: You don’t just have to prepare yourself financially but also emotionally for the upcoming new phase of retirement in life. Learn the rules and regulations of your retirement accounts:While you keep all the above points in your mind and start planning your retirement, it is equally important to know about the rules and regulation of your retirement accounts right from the beginning to have clarity. Retirement brings with it a new phase of life not just for you but for your entire family. Although like most of the people you might tend to plan your retirement as well but it is also important that you consider 10 things mentioned above while making retirement plans.